The selection of the chefs which assisted in the production of Blind Pig: Brogue was careful and intentional. In the South, above all, I believe we stand out as gentlemen and storytellers, and you are hard pressed to find a passionate chef whom divulges their entire being into their craft who does not wish to tell a story or preserve a tale. I have had the pleasure to meet and work with some amazing Southern chefs; some of which are not born to the South yet choose to live and cook here because of the complexities and stories that the South can only tell. Travis Milton is a visionary. He is also a brother and colleague after the same glowing torch of preservation. Originally from Abingdon, Virginia, Travis comes from a long line of generations in Southern Appalachia and its history runs deep in his veins. His career has currently taken him to Richmond, Virginia where he is currently working on the foundations of his most recent restaurant Shovel & Pick. Travis goes beyond the boundaries of what pop culture knows of farm to table cuisine with education and effective preservation of heirloom seeds and developing a restaurant sustaining farming system with his family in order to display his cuisine of his Southern Appalachian roots. I, along with many other chefs have a deep respect for his passion, knowledge and craft. Travis, pulling from history, replicated a colonial Carolina recipe for clam fritters using fresh little neck clams in a thin flour batter, on top was a slaw made from local sweet potato and winter squash along with the freshest of shrimp harvested from the waters just beyond us and cooked on a plancha. Clarke Merrell, Jason Scott and I met more recently, cooking together at events with Beaufort Wine & Food in the past year. Clarke's family moved from Virginia Beach, VA when he was young and established themselves as well known restaurant operators in Atlantic Beach, NC. Clarke began his career washing dishes at his fathers restaurant and bar across from one of the best surfing spots of my youth, the Hilton Hotel beach access. 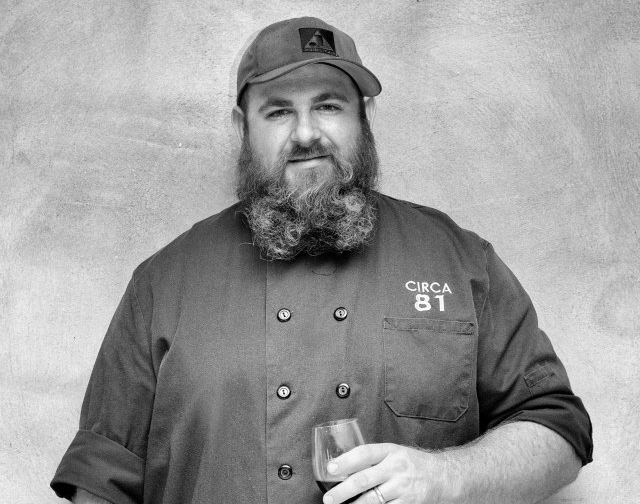 Clarke has established himself as one of the most influential entrepreneurs of the Crystal Coast with successful and thriving chef driven restaurants, retail stores and food trucks. Clarke's passion for what he does is evident as he replicated a Down East clam chowder using local clams and potatoes with salt pork. The Down East Carolina version of clam chowder relies on the starch from the potatoes as a slurry or liaison to thicken the broth and clam juice in the soup. Jason Scott is a Vermont native who's career took him and his lovely wife Aimee to Atlantic Beach. There they run one of the most charming cottage restaurants around, The Island Grille which pumps out fresh fish and delicious seafood dishes. Jason picked up the end of the meal with a dish called "Atlantic Beach Pie". A local favorite, it is a historic rendition of a lemon custard pie integrating sweetened muscadine grapes and whipped goats cheese. Chef Kyle McKnight is probably the one chef in North Carolina that all other chefs silently look up to - and if they don't they just haven't seen him cook yet. Kyle and Nate have an interesting history in the Caribbean and Nate was once an apprentice under Kyle in Nate's formidable years as a cook. Kyle was granted the nickname 'prince of pork' in his career in Wilmington, North Carolina and to see and taste his cured meats and charcuterie today along with his cuisine, one understands why. 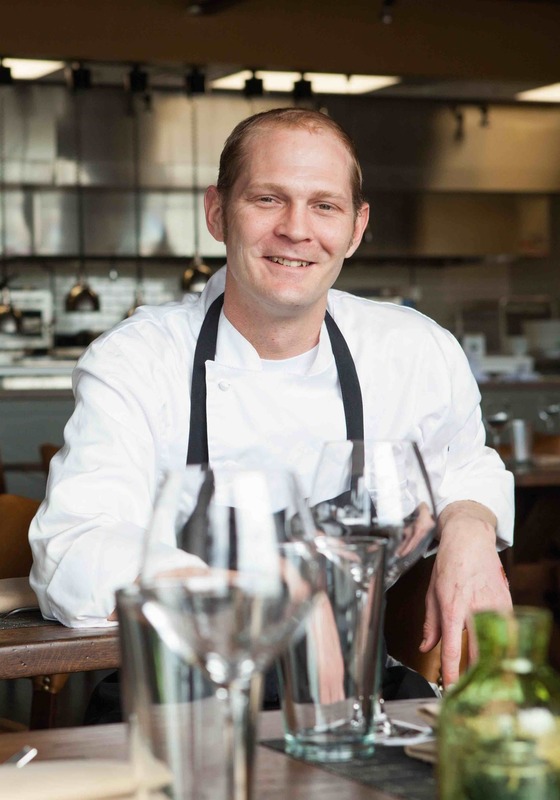 As executive chef and co owner of Highland Avenue in Hickory, NC, Kyle McKnight brings with him a distinct craft and cuisine and has put that location in North Carolina on the map. The Blind Pig could not produce a dinner in Eastern North Carolina without pork on the menu. Kyle masterfully prepared a historic replication of pork from Colonial Carolina recipe with loin and belly cured in a foraged spice bush and salt. The final dish of the night was then paired with savory shell peas and corn pone and hit with a sweet watermelon molasses which remains as one of the most memorable dishes for many guests of that evening. Kyle says a need for new sneakers landed him in a restaurant kitchen. As a teen, the Woodbridge, Virginia native needed money for a pair of Adidas, so found a job washing dishes. Soon, he was running away to France to cook with master chefs. A graduate of Johnson and Wales University, McKnight’s career led him through Europe, Charleston, Miami, St. John and Argentina before he found a home at Hickory’s acclaimed Highland Avenue Restaurant. McKnight has cooked alongside acclaimed chefs Tom Colicchio, Sean Brock, Chris Edwards, Theirry Vergnalut and Phil Corr, and was named a Best Chef America 2012 to 2014 for his commitment to the slow food movement and his advocacy of local farmers in both Wilmington and Hickory, North Carolina. He also earned a Good Food Award with Bev Eggelston in 2013. McKnight is creating inspiring cuisine from the bounty of North Carolina land and sea. Nate Allen and I met just before the end of the world by way of Brian Canipelli. The Mayan calendar had led the world to end in December of 2012, so what better way to go out than with a dinner party with The Blind Pig. Three months of planning and nine courses later with all lights out in the dining room, we were plating wood smoked mushrooms on ashes of burnt oak by flashlight for a dining room of 85 guests. Fortuitous, poetic, energetic, and admirable in his vision and quest, Nate Allen has been an instrumental part of what the Blind Pig has become since its inception as an underground supper club. Nate was important choice as a chef to assist in the production of Brogue for a fundamental reason. in 2005, Nate moved from a burgeoning career as a chef to many private clients of Hollywood, California to the quiet mountain tops of Spruce Pine, North Carolina. It was there through good will, talent and determination that he forged a destination restaurant truly supporting and supported by local farms out of a sleepy town miles from anywhere. There are currently about twelve farms in all of Carteret County where Beaufort and Harker's Island and situated on the map. Local farms per capita, on a scale compared to that of Asheville is weak. The week prior to the Brogue dinner event, Beaufort and most of Down East received one of the most torrential rainfalls from a nearly seven day storm flooding out what few farms had planted Fall crops for the season. It was the sparsity of produce upon this natural disaster of date and time of our dinner which would seem a fatal feat to many. Nate and other chefs visited Catherine Elkins with Underground Farms and walking among the ruins shared stories and knowledge alike which represented the truest of attributes between the symbiotic relationship of chef and farmer. Nate had a vision for this dinner not unlike others. He wanted to replicate the flavors of the freshest of food prepared in a most genuine way that best represent cooking by fire from centuries before and using all of the fish leaving none for waste. I Loaded a trusty shovel and a 1/2 chord of hardwood in my pick up because I knew I wanted to support Nate's vision of catching fish by 'prayer' and roasting it over live coals. Fresh mullet were cleaned and eviscerated, but the guts and blood were saved and used to marinate the fish whole along with a bit of sugar and salt. The pungent salt would act as a fish sauce of sorts as the fish left whole and in tact would be charred black and blistered on hot wood coals. Our friend, Keia Mastrianni harvested hearty greens by hand from their farm near Shelby, NC and the hand off to me was made in Chapel Hill, NC after a Terra Vita speakers panel on food capital and community. Nate would cook the fish primitively and serve them with the braised greens, winter squash and a sauce made from the slow poach of fish heads and shrimp shells- his vision complete.